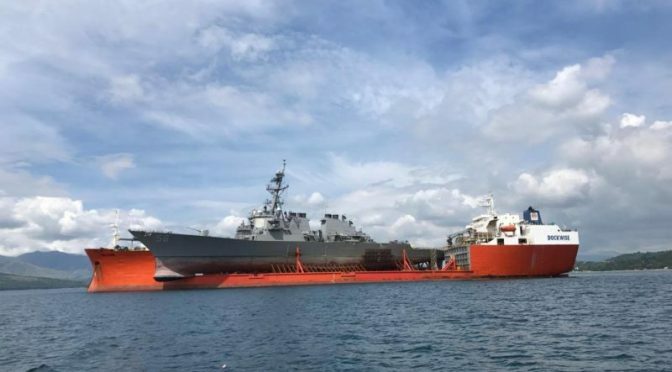 The U.S. Navy finds itself at an inflection point in the aftermath of two high-profile ship collisions that killed 17 sailors. But for years the Surface Navy in particular has struggled amidst crushing operational tempo and initiatives that backfired in attempts to reform training, maintenance, and manning. While numerous leaders at varying levels of seniority were relieved and remedial reforms are under way, the underlying problems that caused these collisions are deep-seated, pervasive, and self-inflicted. This was made clear enough in both the Comprehensive and the Strategic Readiness Reviews that sought to make sense of these fatal mishaps. These findings come in the midst of numerous other issues that challenge the overall readiness of the Navy, such as how the Government Accountability Office claimed nearly 14,000 operational days have been lost over five fiscal years – days that ships were not available for operations – due to maintenance overruns. These claims come against a backdrop of hopeful ambition where the Navy hopes to grow to a planned 355 ships even while it struggles mightily to maintain the smaller fleet it has today. Authors are encouraged to analyze the state of the U.S. Navy’s readiness and offer recommendations for reform. The emphasis should be on institutional means to improve warfighting readiness beyond simply buying new equipment. These recommendations can run the gambit from train, man, and equip activities to the nature of the operational employment and strategic tasking of the Navy. Authors are encouraged to cast a wide net and address looming issues that may become tomorrow’s tragic headline. CIMSEC is proud to bring back our annual COMMODORE JOHN BARRY Maritime Security Scholarship Contest! This is your chance to write about maritime issues and earn money for college. -Deadline: Submissions must be received by 11:59 PM on Saturday, 15 April 2017, sent to vp@cimsec.org in .pdf or Word format. -Applicants must be current high school students enrolled in the United States or U.S. territories. Submissions should include proof of student status (copy of student ID or transcript) along with the entrant’s full name and address. -Judging: Submissions will be judged by a panel of experts from CIMSEC and the broader maritime community. The best essays will be those that combine critical thought, originality, and relevance to the topic. -Notification: All entrants will receive a confirmation reply upon submission of their essay, within 24-48 hours (if you do not receive notification within that time, please contact the VP on Facebook or Twitter). All entrants will be notified of the results from our judges on or about 15 May 2017. -Publication: With the consent of the authors, CIMSEC will publish the three winning essays, as well as any honorable mentions, in late May or early June 2017. -Fine print: By sending your submission to vp@cimsec.org, you are certifying that your essay is original and has not appeared in any form in any other venue. CIMSEC retains full ownership of your essay until winners are announced; at that time, ownership of essays that are not selected as winners will revert automatically to their authors. 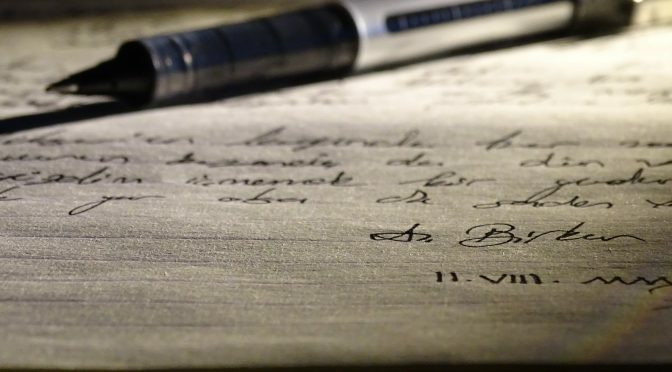 Editor’s Note: This essay contest has since concluded, read the winning submissions here. Roger Misso is the Vice President of CIMSEC. CIMSEC is interested in publishing informed analysis on several trending issues outlined below. There is no deadline for submissions on the topics described. Draft articles, writing ideas, and questions should be sent to Nextwar@cimsec.org. Navy leadership announced that it will end the use of the rating system in favor of a system of addressing rank similar to what is practiced in the other services. Statements from Navy spokesmen describe the intent of the change is “to develop a new approach to enlisted ratings that would provide greater detailing flexibility, training and credentialing opportunities, and ultimately translate Navy occupations more clearly to the American public.” Read NAVADMIN 218/16 here. A summary of the concept states “The 21st century MAGTF conducts maneuver warfare in the physical and cognitive dimensions of conflict to generate and exploit psychological, technological, temporal, and spatial advantages over the adversary. The 21st century MAGTF executes maneuver warfare through a combined arms approach that embraces Information Warfare as indispensable for achieving complementary effects across five domains – air, land, sea, space, and cyberspace. The 21st century MAGTF avoids linear, sequential, and phased approaches to operations and blends maneuver warfare and combined arms to generate the combat power needed for simultaneity of action in its full range of missions. The 21st century MAGTF operates and fights at sea, from the sea, and ashore as an integrated part of the Naval force and the larger Combined/Joint force.” Read the concept here. 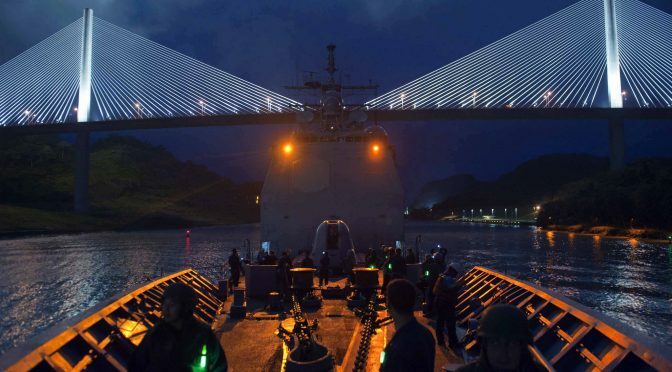 Featured Image: PANAMA CANAL (August 13, 2012) Sailors aboard the Ticonderoga-class guided-missile cruiser USS Cape St. George (CG 71) watch as the ship travels through the Centennial Bridge during its transit through the Panama Canal on its return to the Pacific Ocean. (U.S. Navy photo by Mass Communication Specialist 3rd Class Christopher S. Johnson/Released). During the last week of May/first week of June (30 May – 3 Jun) CIMSEC will launch a topic week focusing on the future of undersea competition. For the last several decades, the United States has enjoyed relatively unchallenged supremacy in the undersea domain. Is it reasonable to expect this trend to continue into the middle of this century? As numerous near-peer competitors, notably Russia and China, continue to invest heavily in their undersea forces, it seems likely that this dominance will be challenged. Even nations with smaller armed forces are embracing submersibles. With an eye to the ever-increasing tensions in the South China Sea, Thailand stated its intentions to acquire two to three submarines as part of its 2016 defense budget. Vietnam purchased six Russian-built Kilo submarines in 2009, while India, which already had an established submarine force, retains a decade-long lease on an Akula I, also from the Russian Federation. Indeed, London-based Straetgic Defense Intelligence (DSI) reported that Asia leads the world in in defense spending, with submarine spending near the top of that list; the current Asian submarine market is worth just over 7 billion dollars, but is projected to rise to nearly 11 billion dollars by 2025. How will the United States cope with this competition, which is not limited to Asia alone? In addition to sheer numbers, the technology of undersea warfare has also accelerated at a rapid pace. The introduction of commercial off the shelf technologies has revolutionized ASW sensors, making them more available (given adequate processing power) and more effective. As CIMSEC has addressed in previous topic weeks, unmanned undersea systems (UUVs and AUVSs) stand to revolutionize undersea warfare and the exploitation of the underwater domain as it is currently understood. On February 18th of this year, The US Navy delivered to Congress a comprehensive report on the future of its Autonomous Undersea Vehicle program through 2025. Hardly alone in their unmanned ambitions, the US will face competition from Russia, who is developing an unmanned system dubbed ‘Kanyon,’ intended to provide submarine (reportedly nuclear) strike capabilities. From mine-sweeping, to strike, to ocean surveillance and beyond, unmanned undersea systems will only add to an increasingly crowded, capable, and competitive undersea environment. How will the United States deal with these challenges, and how will the undersea environment and undersea competition shape tomorrow’s conflicts? Sally DeBoer is the Publication and Book Review Coordinator for CIMSEC. She can be reached at books@cimsec.org. 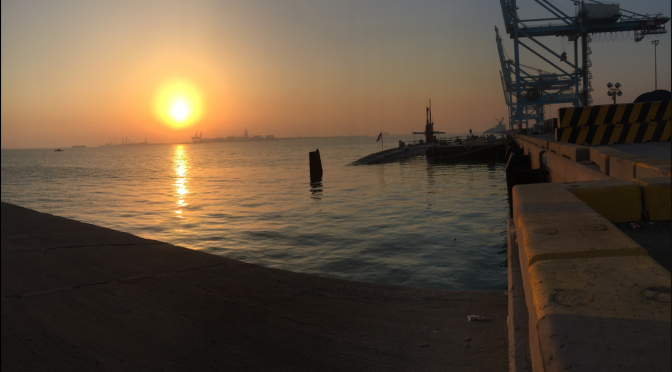 Featured image shows the USS Providence in Manama, Bahrain. It is provided courtesy of the photographer.